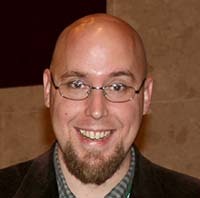 Ethan Watrall, an assistant professor of anthropology at Michigan State University, will present “Towards a Model of Openness in Digital Cultural Heritage” on Friday, Sept. 27, at 7 p.m. in the Mary E. Marburger Science and Engineering Auditorium at Lawrence Technological University, 21000 West 10 Mile Road, Southfield. The talk is free and open to the public. Watrall will address how cultural heritage institutions such as libraries, archives, and museums – along with academic disciplines such as history, archaeology, anthropology, and classics – are wrestling with how openness within a digital space impacts their core identity and unique professional practice. This lecture is the keynote address of Network Detroit: Digital Humanities Theory and Practice, a conference exploring the impact of the digital revolution on the study and teaching of the humanities. For schedule, location and registration information for the conference, go to www.detroitdh.org.